Hepatitis C has long been a formidable disease with a high death toll and inadequate treatment. However, in the recent years we have seen much more successful treatment options on a backbone of a newly discovered therapeutic molecule called sofosbuvir. Sofosbuvir is an antiviral molecule, structurally similar to existing antivirals, but it has proven to be of great benefit to Hepatitis C patients - it almost single-handedly skyrocketed the cure rate from 50% to 95% overnight. This has brought the company which brought it to market under the tradename Sovaldi, and later Harvoni, a tremendous success. This molecule is currently the best-selling pharmaceutical ingredient in the world because it plays an essential role in modern Hepatitis C treatment regimen. Today we will have a look at sofosbuvir mechanism of action. Essentially, sofosbuvir molecule works by preventing Hepatitis C virus (HCV) to replicate itself. One of the necessary components for replication is the RNA molecule of the virus. In order to make a copy of RNA for the new virus to form, a virus uses an enzyme called RNA polymerase to replicate RNA. Basically, out of 1 existing RNA molecules, and additional RNA is formed in order to be used to construct a new virus and facilitate the propagation of Hepatitis C virus - which for a patient means Hepatitis C will manifest more and more in his or her liver. Sofosbuvir works by inhibiting enzyme RNA polymerase - the cellular worker that performs the replication process. Being unable to make new viruses due to sofosbuvir mechanism of action, the existing Hepatitis C viruses are at the mercy of patient's immune system which is readily eliminating the virus. Without sofosbuvir, Hepatitis C virus has an ability to rebuilt the lost viruses and build up in the liver. When sofosbuvir, however, is allied with patient's own immune system, there is only a 5% probability that the virus will survive (with appropriate treatment regimen). This is why sofosbuvir has a 95% success rate. 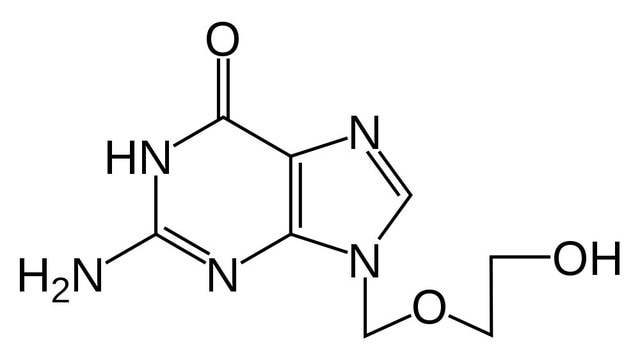 Here is how sofosbuvir molecule looks like in chemical terms. We are about to explain in detail how sofosbuvir works or, in other words, what is sofosbuvir mechanism of action (sofosbuvir MOA). Sofosbuvir is a prodrug - this means that the molecule is chemically changed to a therapeutically useful molecule in a human body. If you look on the structure (on the right); the left part of the molecule remains unchanged while the right part surrounded around P (phosporous atom) will readily change into a therapeutic form with the help of enzymes in the body. In essence, nucleotidyl and nucleoside diphospate kinases are two human enzymes which add phospatic groups to the molecule once the existing groups on P have been cleaved. Only when this process and transition from sofosbuvir as prodrug to sofosbuvir as drug is done within the body, the molecule becomes a very effective Hepatitis C treatment. The created sofosbuvir drug in the body has to enter Hepatitis C virus in order to be effective in disrupting HCV replication. This is the process that makes sofosbuvir stand out as an effective Hepatitis C therapeutical substance. It needs to be mentioned that sofosbuvir is not out-of-the-box thinking molecule. Actually, it is very similar to existing antiviral molecules such as acyclovir for example, but one small but very important difference. Every antiviral in this group of therapeutics has to have 3 phosphate groups (Ps in the molecule) to be effective. Usually, the addition of the first PO 4 -3 phosphate group is the hardest and thus slowest, the other two phosphate groups are then readily added. Sofosbuvir was designed to marvelously solve this problem by having the first phosphate group already attached to its structure. Thus there is no need for a lengthy and hard process of adding the group. The other two phosphate groups are quickly added to sofosbuvir and the so-called prodrug is now an active drug. Of additional benefit are also the groups that are bound to the phosphate group of the molecule - these work by masking the negative (-) electric charge of a phosphate group and by that facilitate the entrance of sofosbuvir into the Hepatitis C virus. The results of adding a phosphate group to the original drug is exception. While majority of antiviral molecules were tested to see how effective are they to prevent HCV from either replicating or plain out killing them off, the potency of great majority of them was very low. The added phosphate group separated the mode of action of sofosbuvir from other molecules to such an extent that we don't only see sofosbuvir as very potent; but its ability to suppress HCV spread is so tremendous that the disease as a whole started to be perceived as easily treatable - sofosbuvir had done something no other known molecule was capable of doing - heal 95% of Hepatitis C patients. Here is a short video about how Hepatitis C drugs work. When inside a Hepatitis C virus, sofosbuvir seeks out and selectively attaches to the NS5B polymerase viral protein which is a vital component virus replication. Sofosbuvir mode of action is to disguise itself as a structural part of NS5B. This sofosbuvir mechanism of action is known as a defective substrate. When sofosbuvir binds to the viral protein, it inhibits its further construction. Thus the protein construction is stopped and the protein cannot complete its normal function of replicating the virus. In such a way, the number of Hepatitis C viruses is stagnating and immune system comes in to kill them off one at a time. Without the ability to recover from the heavy losses against the immune system, HCV virus is doomed to be eliminated, which heals the patient of Hepatitis C (viral load goes to zero). This is a regular mechanism of action of all nucleotide-like antivirals. For Hepatitis C treatment, other drug molecules are used in Hepatitis C treatment together with sofosbuvir. Mechanism of action of ledipasvir, daclatasvir and ribavirin are not altogether different from sofosbuvir mechanism of action. A natural question is why do Hepatitis C patient have to take two or more drug molecules for treatment if sofosbuvir is already such an exceptionally potent drug with an advanced mechanism of action against Hepatitis C virus? Why is Hepatitis C always treated with at least two drug molecules? Sofosbuvir is an extremely effective molecule working against Hepatitis C virus. In fact, sofosbuvir mechanism of action enables it to eliminate more than 99.99% of the virus in a great majority of cases. However, that 0.01% of the virus left could still prove problematic. This is why a second antiviral molecule is used to eliminate any virus that might have survived. Modern Hepatitis C treatment regimen consist of combination of primarily sofosbuvir, and secondarily ledipasvir, daclatasvir or ribavirin. This is how we can ensure that the treatment is optimal and minimize the risk of HPV developing sofosbuvir drug resistance. Experience with viral disease has taught us that virus, which is being endangered with therapeutic drugs, readily mutates and becomes drug-resistant. No drug mechanism of action is capable of completely eliminating the possibility of drug-resistance arising. Especially problematic for the development of drug resistance are viruses that have been treated with a certain drug like sofosbuvir but were not all eliminated. Namely, the remaining ones developed their own mechanism of how to best survive against the drug, rendering them resistant. This is why it is utterly necessary to eliminate all the virus that has come into contact with sofosbuvir or any other therapeutic molecule. Ledipasvir has the same aim as sofosbuvir - to prevent HCV from replicating; however, the approach it takes is different. Ledipasvir mode of action is to inhibit protein viral phosphoprotein, NS5A, which is involved in viral replication, assembly, and secretion. The same protein is also targeted by daclatasvir.